Cultural changes from moving from a smaller area to here? : Curious of y’all’s thoughts about your experience of the overall community and interactions with people here. I know this is a transient area but I still meet a lot of local people, so it’s not all newcomers I’m from the south in a smallish city and notice the overall faster pace of life and craziness. I live in Arlington so wondering if it is different outside the beltway. I guess I am just used to people chatting more and being more open. I am in my 20s, but if I stay here longer, I’d like to have a hoise and a yard with kids who’d play with neighbors, as I grew up. Stuff like that. I don’t necessarily think people are rude or anything, just busy. I have met friendly people and I am of the mentality that you see what you want to see. But I am curious of anybody from smaller areas such as the Midwest or south and how you have enjoyed living here or dislike about it, in regards to community and what not. 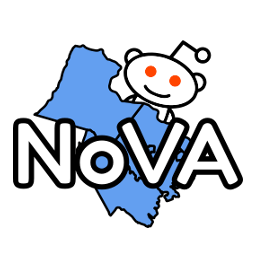 If you have moved around NOVA, what parts are different, if any? TLDR: what are your thoughts on the people here and how have you adapted, if any, to the change in culture?